Silver Birch Press, 9780692267479, 106pp. KIRKUS REVIEWS: "Through poems and vignettes, Brenner's moving debut memoir commemorates her son's death. Brenner began writing poetry in earnest the night 6-year-old Riley died of an arteriovenous malformation brain hemorrhage...These free verse selections, mostly written in complete sentences, rely on alliteration, assonance and striking imagery rather than straight rhyming for impact. Perspective morphs subtly, starting in the third person and moving into a more intimate first-person present, with occasional outbursts of second-person address to Riley...A noteworthy exploration of a parent's grief." 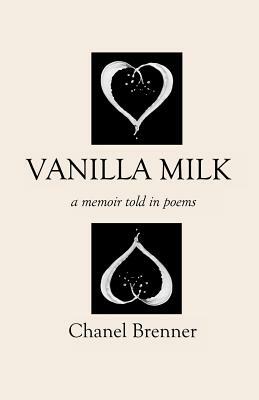 Vanilla Milk, a memoir told in poems, focuses on a mother's and family response to the sudden death of the author's six-year-old son. These elegies might be read as written snapshots forming an elegiac album, depicting how a traumatic loss alters relationships, love, and parenting, and perceptions of danger, time, and life. Characterized by unsparing honesty, clarity, and restraint, the poems explore the limits inherent in "recovering" from the grief of losing a child, and the need to continue experiencing joy. Includes a 20-page album of family photographs. Chanel Brenner's poems have appeared in "Cultural Weekly, Poet Lore, Rattle, The Coachella Review, Diverse Voices Quarterly, Foliate Oak, Glassworks, " and others. She was awarded first prize for her poetry in The Write Place At the Write Time's contest. She lives in Los Angeles with her husband and son. "Grief is heavier than concrete. A mother's grief is fierce, dark and insatiable...That's what I learned from "Vanilla Milk. "..The intimacy of these poems brings us face to face with the mother's unbearable pain, which somehow must be borne...But even in her deepest sorrow his mother is compassionate toward the suffering of mothers and their ailing children." NANCY GERBER "Mom Egg Review" "This collection of free verse and essay-like vignettes is about moving forward through the concrete that is unexplainable loss...The bravery with which she writes is, frankly, incomprehensible and her straightforwardness is a primer for anyone who knows someone who has lost a child...As you trek through the book you learn that she is not just grieving the loss of Riley, but also the slipping away of friendships, safety, and the general feeling of normalcy that accompanies everyday life...Truly, it is the simplicities of the moments she captures that really moved me as a parent. If you scroll through my iPhone you don't see pictures of huge events, you find my efforts to capture the magic that I see in the common times when I look into my children's eyes...Brenner has a way of closing out each poem with lines that knock the wind out of you, but turning the page doesn't feel optional..."Vanilla Milk" is raw, uncensored, and beautiful. If you know someone who has struggled through the loss of a child this book will offer you insight into things they are probably afraid to vocalize. Chanel Brenner writes as if she is unafraid of judgment, and perhaps she is, since she has suffered so deeply and understands the depths of loss in a way I pray I will never have to." MICHAEL BRYANT, "Mamalode"